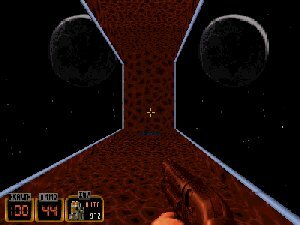 First "Prince" level is also made by Mikko Mäkelä and this time Duke goes to the space to kill alien bastards. Some nice areas like that area in the picture on the rigth. Bad side is its size. It's very small but offers some nice details and good gameplay.